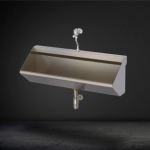 We often receive plenty of questions concerning our stainless steel commercial urinals. It is only fitting to provide a page full of info concerning the state-of-the-art design and convenience. Be sure to look over these FAQs to find out more about this quality product. Stainless steel is a metal that resists corrosion quite well. It consists of chromium which reacts with oxygen in such a way that prevents the oxygen from rusting the surface. It is very thin and very durable. Stainless steel is actually recyclable as well. Are Stainless Steel Waterless Urinals Cleaner? 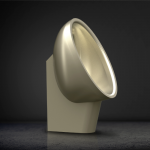 Waterless commercial urinals are in fact reported to be more sanitary than flushing urinals. Water in the regular urinals provides a prime environment for bacteria and germs to fester. Waterless urinals on the other hand, have no water, no handle or need to touch so less germs collect with no need to touch the unit. This reduces the spread of germs. In addition, the lack of water doesn’t send microscopic drops of urine and water flying through the air with every flush. How Much Water Do Waterless Commercial Urinals Save? Toilet flushing can account for up to half of a business’ water expenses. Waterless urinals no not use any water and can save one to five gallons of water with every single use. They are key in saving valuable resources and provide a sustainable and responsible alternative to business owners concerned for the environment. Stainless steel doesn’t rust like we normally think of. It doesn’t collect that red oxide that other metals do. However, corrosion can happen when contaminates stay on the surface for long periods of time. This can be easily solved with regular cleaning and maintenance. How Do I Hang the Commercial Urinal on the Wall? Our stainless steel waterless urinals come with specific hangers (K-2 or T-62). They are attached to studs within the wall for support and are more than adequate to hold the weight of the urinal. 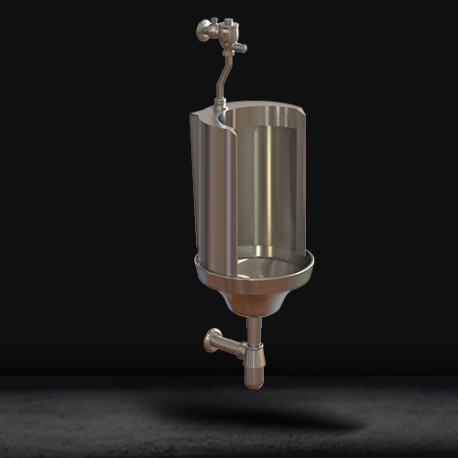 If you have more questions or want to get started with ordering your own stainless steel urinals be sure to contact us at Stainless AD. We offer other options for your public restrooms like sinks, grab bars, toilets and more as well. When it comes to quality, lasting design we deliver. Give us a call or fill out our forms to receive a quote!